Diwali is around the corner, and all us ladies are busy deciding our home-made snacks menu to start with preparations. To ease down the confusion, you might get into looking at the endless list of indian snack recipes, follow me as I am about to upload my Diwali snack menu back to back this week. So here is my menu list topper – kadboli. 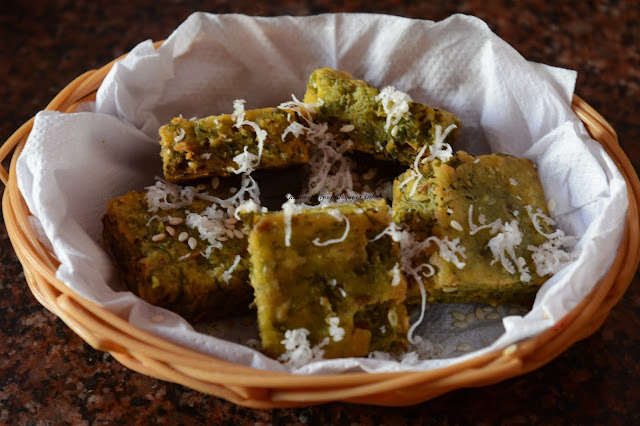 Kadboli is a fried savoury snack made with the dough mixture of various pulse’s flour. Kadboli is a native Maharashtrian recipe that slightly differs the Karantaka’s kodbale. In Karnataka, kadboli or “kodbale” is made of only two flours, namely, rice and black gram flour (urad dal). The kadboli dough mixture is divided into equal parts &amp; rolled into making thick noodle like structure whose edges are then joined and deep fried. You can also bake these kadbolis for a healthier snack, but here I have made them in the traditional deep fry technique. These kadbolis can be enjoyed for weeks when stored appropriately. Dry roast all the ingredients of kadboli flour one by one and once it cools completely grind, keep it in airtight container and you can use it within 6 months. powder, 1/2 tsp oil and mix well. Once water starts boiling, switch off the heat. Add kadboli flour and mix with a spatula. Cover with a lid and let the steam infuse into it. Cover for 10 minutes or till it cools. After 10 minutes sprinkle some water and knead the dough. Start from one end and turn it inwards to make loop. Repeat the same process with the remaining dough to make kadboli. Heat oil for deep frying and fry till golden brown on medium low heat. 2) Once water starts boiling, switch off the heat. Add kadboli flour and mix with a spatula. 3) Cover with a lid and let the steam infuse into it. Cover for 10 minutes or till it cools. 4) After 10 minutes sprinkle some water and knead the dough. 6) Start from one end and turn it inwards to make loop. Press to fix. 7) Repeat the same process with the remaining dough to make kadboli. Heat oil for deep frying and fry till golden brown on medium low heat. 8) Drain out excess oil. Allow to cool and store in an airtight container.